Adobe InDesign offers tools for professional desktop publishing to create posters, flyers, brochures, magazines, books and much more. It is the #1 program for page layout used throughout the world by professional designers, marketing studios and the press industry. 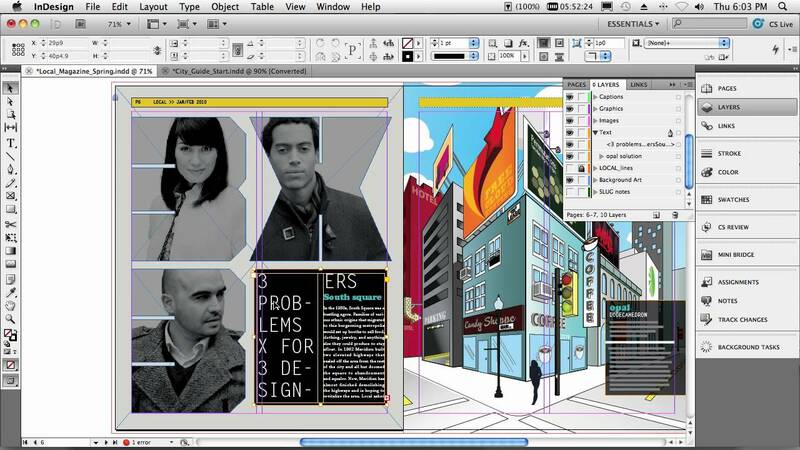 Learn to create well designed documents using InDesign's controls. Be able to work with the Toolbox, Control panel and Panel groups. Work with the Type and Image controls. Create new documents and use page setup effectively. Work with Master Pages, page numbering and learn to apply masters to regular pages. Understand and use the toolbox and panels, menu options and page layout controls. Place text and graphics onto your page in a variety of ways. Work with the type controls for Character and Paragraph formatting. Be able to crop, size and position graphics. Wrap text around graphics and objects. Output your document to PDF.